What is Dr. Atkins New Diet Revolution? The Dr. Atkins New Diet Revolution is a way of eating and living that Dr. Atkins first developed in the 1970’s as an alternative to traditional weight loss programs. He developed the program based on meticulous research and years of studying his own patients. His book, Dr. Atkins' New Diet Revolution, ran counter to what most doctors and health organizations suggested at the time, and ended up getting a lot of bad press in the early years. The reason so many people were wary of the Atkins approach is because it didn’t suggest a low fat lifestyle for people trying to lose weight. The Dr. Atkins Diet plan was new and revolutionary at the time because most people, doctors included, suggested that people cut as much fat as possible from their diets. The problem with this was that most people weren’t sure what to substitute instead, and they ended up adding foods that didn’t help weight loss at all. In fact, they added lots of carbohydrates and sugary foods to fill the void left by cutting out fat. Dr. Atkins realized that these people were actually providing lots of empty calories to their bodies in a form (carbohydrates) that was quickly used by the body as fuel while storing the extra as fat. He saw people loading up on refined foods and other “junk” that simply weren’t providing much in the way of nutrients. The Dr. Atkins new diet revolution changed all of this by suggesting that people eat a low carb diet and not worry so much about fat. In scores of people on his diet, Dr. Atkins discovered that the body naturally converts to burning stored body fat as energy when deprived of excesses of “quick energy” carbohydrates. Not only did the body use the fat it already had, it used more energy to convert this fat to fuel, which increased weight loss even more. Why did this approach of the Atkins Diet seem so new and revolutionary? Because for years experts had convinced the public that eating too much fat equaled all kinds of health problems like high cholesterol and heart problems. What these studies didn’t show was proof of this theory. After many years of studying people on the Atkins diet, these same experts were surprised to discover that bad cholesterol levels were actually reduced in most people on a low carb diet. The levels of fat seemed to have little or no significance. Over the years the approach of the Dr. Atkins new diet revolution became more accepted. Another way the Atkins Diet is new and revolutionary is because it doesn’t make you count calories. 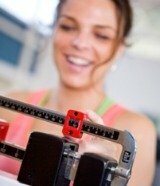 In fact, the concept that is primarily the number of calories that causes you to lose weight was tossed out the window. Instead, Atkins declared that it was the type of calories and how your body processed them, so just limiting calories wouldn’t necessarily work. Instead, he told dieters to count the carbs they ate and keep them to a minimum. 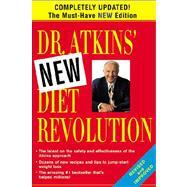 Finally, Dr. Atkins’ diet shocked people in the early years because he allowed people to eat until they were full. There were no limits set the amount you could sit down and eat at a meal as long as you followed the guidelines for the right foods. This is perhaps the newest and most revolutionary idea at all – that you can lose weight without feeling hungry naturally – no diet pills making you feel jittery, no drinking diet drinks all day long – just filling, rich meals that satisfy. It seemed contradictory to everything a diet should be. Today millions of people can tell you how successful they were at weight loss when they joined the Dr. Atkins New Diet revolution. Nearly all of them have also kept the weight off by following the Maintenance program ever since. A diet that isn’t a diet? A way to eat for the rest of your life that will satisfy you every day? That’s revolutionary!